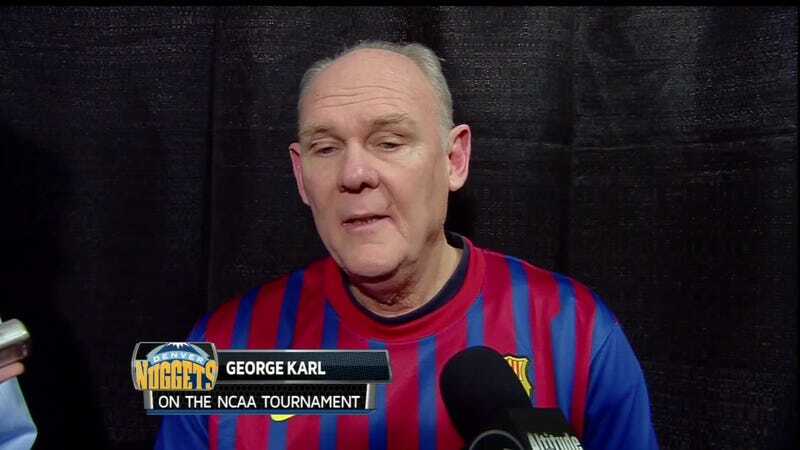 As NBA players sent messages of support to Ricky Rubio upon news of his ACL tear, Nuggets head coach George Karl showed his softer side by sporting an FC Barcelona shirt while meeting with the press yesterday. Karl's son Coby played with Rubio on Joventut Badalona after fizzling out in the NBA and escaping the D-League. Of course, FC Barcelona (the basketball team, that is) is actually a rival of Joventut Badalona, but sympathy can come in all shapes and sizes.